One77 looked at the average cash and mortgage buyer house prices from the Land Registry and how much higher or lower the average mortgage house prices was, compared to those funded by a cash purchase. 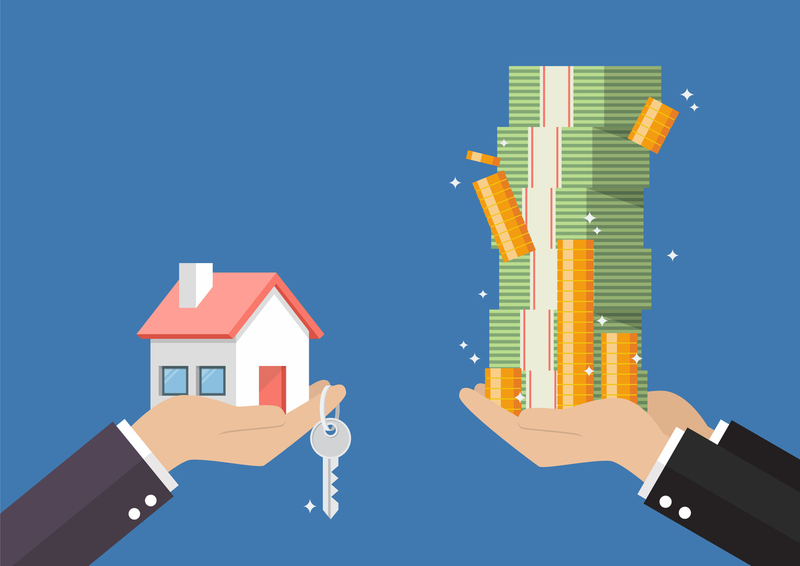 With interest rates remaining at affordable levels and house prices at not so affordable levels, it’s no surprise that mortgage sales volumes across the nation are 138% higher than cash sales volumes. However, despite slower market conditions and the ease of dealing with cash buyers over those with a mortgage, the average house price for cash buyers is still 9% lower than mortgaged average house price levels. In fact, there is just one region where cash buyers pay a higher property premium and that’s in London. The gap is highest in the North East where mortgage funded house prices are 14% higher than those purchased with cash. Some of the highest gaps in Great Britain are in Scotland with the highest being Falkirk, where house prices fuelled by mortgaged buyers are 32% higher than cash buyers. North Lanarkshire (26%) and Renfrewshire (25%) are also amongst the highest. Hartlepool is the largest gap in England at 25%, East Renfrewshire, East Dunbartonshire, Preston, Middlesbrough, Burnley and St Helens also make the top 10. Although placing 18th in Great Britain, Newport is home to the highest Welsh gap in mortgage and cash buyer house prices at 16%. Although only the 83rd largest gap overall, Sutton is home to London’s largest gap with mortgaged fuelled house prices sitting 10% higher than those purchased with cash in the borough. On the flip side, there are a couple of factors that can see the average cash sold price exceed that of mortgage sold prices in an area. Property prices could be more realistic, or buyers could have pockets deep enough to front the cash as is the case in some areas of prime central London (Westminster in particular). There’s also the chance that more properties in that area are unmortgageable and therefore competition from cash-only buyers will push up the cash sold prices statistics. This is often the case in the remote and sparsely populated Scottish islands, where lenders won’t go due to the tricky geographical factors and lower demand for property. Managing Director of One77 Mortgages, Alastair McKee, commented: “Many home sellers will be drawn to a cash buyer as it can often mean a quicker, smoother selling process with less paperwork and no onward chain, which can be hugely appealing to someone that needs a quick sale in particular. However, savvy buyers will know that they are in this stronger position and as a result they will often negotiate more off the asking price than they otherwise would, with the seller tending to accept it, resulting in a lower sold price achieved. I myself sold my last property at £100,000 below asking price to a cash buyer due to the greater convenience of doing so as I was lucky enough to be in a strong position due to my onward purchase, so I can certainly understand the appeal.